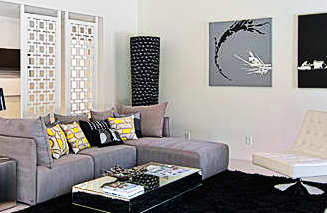 Dress it up with Redi-Screens! Wow! Crestview Doors has done it again! 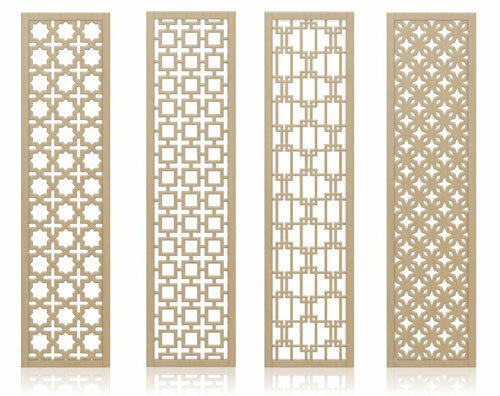 Check out these fantastic versatile wood screens that can be used in a variety of ways to separate space around the home. 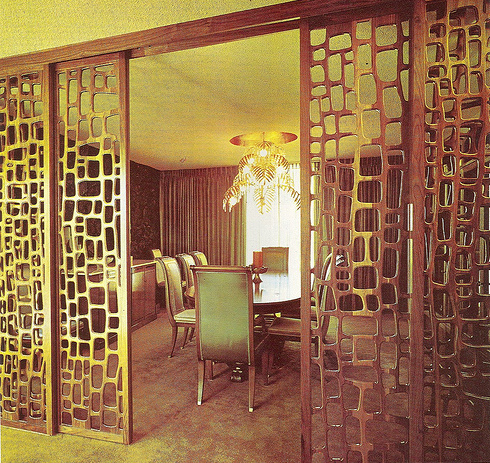 Featuring modern patterns inspired by vintage textile designs, Redi-Screens™ are made from an unfinished, stain-grade Maple panel surrounded by an exquisite Maple hardwood frame. Redi Screens™ each measure 1-3/8” deep and may be ordered with a translucent resin backing that transmits light yet offers full privacy. Be creative! 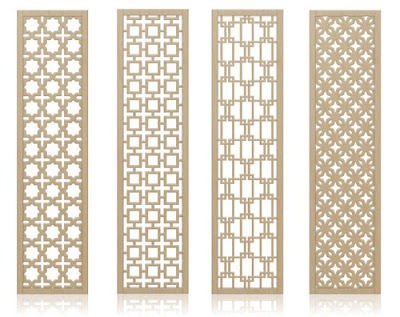 These amazing screens can be installed as sliding doors, pocket doors, articulating doors, room partitions, room dividers, hanging or mounted screens. Custom sizes are also available. Here is the inspirational photo responsible for these awesome screens! While attending a lecture during the Heritage Society's tribute to mid-century architecture, David from Crestview Doors ran across a picture of a groovy set of interior sliding wood panels!